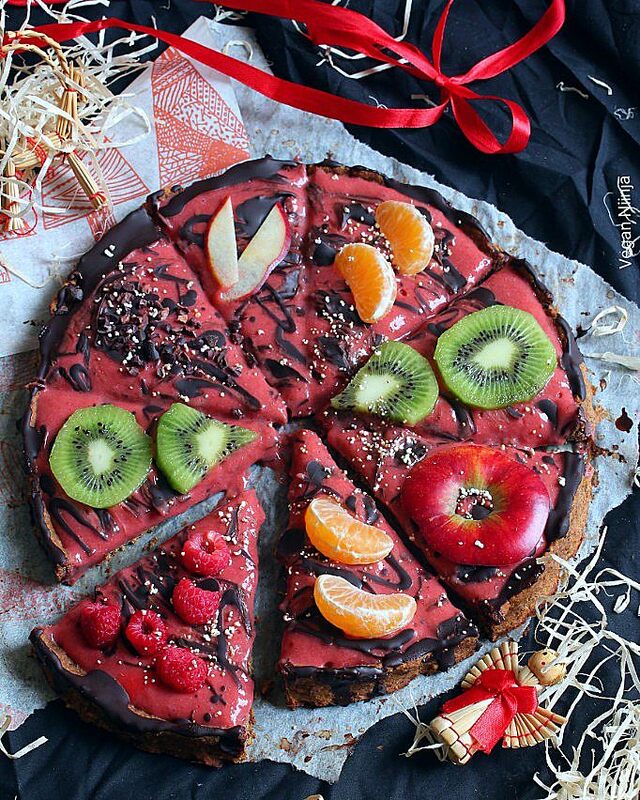 Sweet Pizza with an Apple Crust / Christmas Pizza - simply & healthy vegan recipes that taste amazing! If you think you have tried the ultimate pizza already, you have to change your believe! 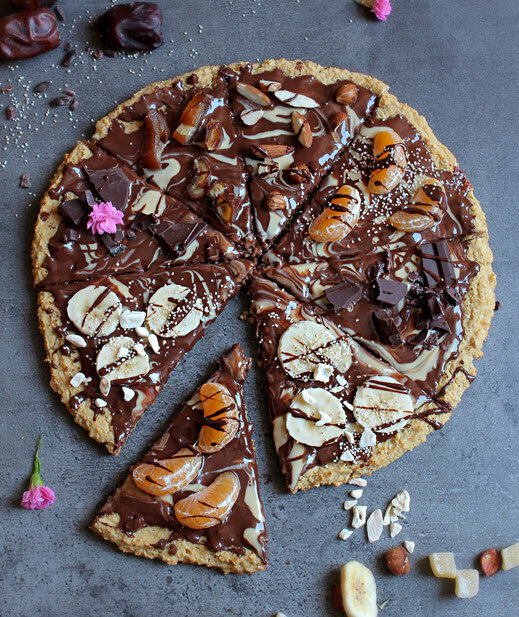 Because here is the sweetest and most rich breakfast/dessert pizza you will ever try. The crust is completely sugar free and contains only a few healthy ingredients that will keep you satisfied for a few hours. This pizza is filled with nutrients and protein. The perfect snack after a work out or when you need some new energy after work. You can choose to eat this for breakfast with homemade chia marmelade, nut butter or fruit instead or the chocolate spread. You can really choose what ever you like to top your pizza with. For the cristmas pizza simply add some gingerbread spices. When needed, add some ground nuts. Berry cream (blend your favourite berries with some coconut cream and add 1 tsp sweetener). Raw vegan dark chocolate, natural peanut butter, fruits/berries, nuts, popped amaranth or whatever you prefer! Blend the rolled oats until you have a fine flour. Add the other ingredients and blend until the dough sticks well together. It should be a little wet and very sticky, but not fluid. If the apples are big you may have to add some ground nuts to get the right texture. Press out the dough with a spoon over a parchment paper. Top with your favourite toppings. I added about 100 g dark melted chocolate, some tsp natural peanut butter, some fruits and nuts. and for the cristmas pizza add some homemade berry cream! Eat it while it is still warm! If you feel inspired or have one question, please leave a comment below! I will answer you very soon.